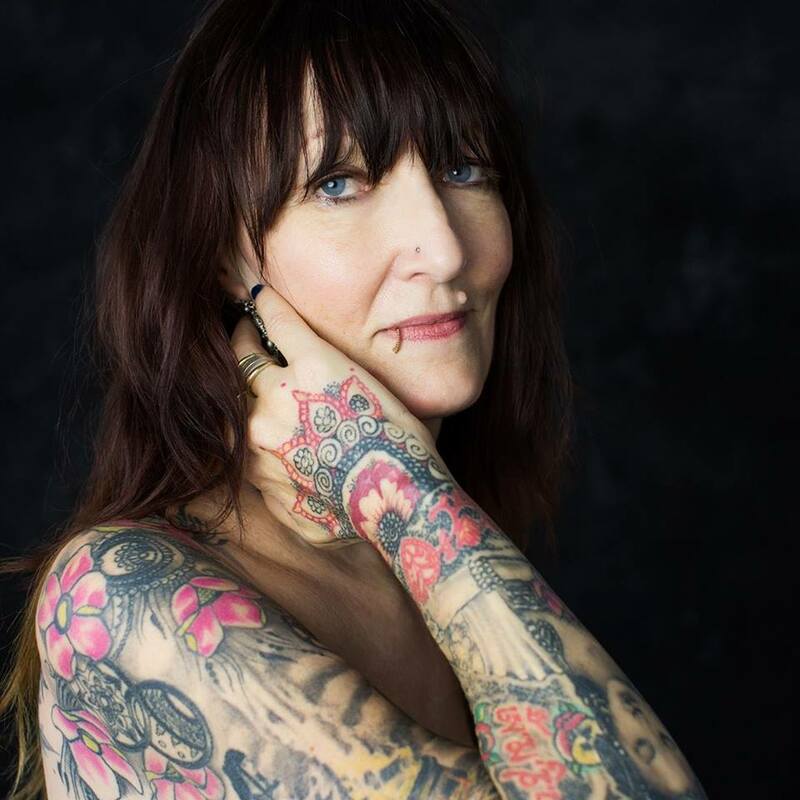 Mary Scarlett Amaris, professor in the English department at Cal State Long Beach and a spiritual leader, didn’t have her very first tattoo until the age of 30. It started out as tattoos in areas where she could hide them, such as her ankle. In 2003, she had her very first tattoo that can be seen in her body—her wrist. It is a bracelet-like tattoo around her wrist that has a heart in red ink in the middle, a reminder of a spiritual experience she had with one of the people from her spiritual community. Amaris' tattoo on her right wrist. Now, Amaris has an estimated 35-40 tattoos on her body. Amaris has been getting tattoos for almost 30 years and all of her tattoos have significant meaning to her. Authenticity is what she wants her students to have as they pursue their career in teaching. “What I learned is that the way I present myself, ink included, is telling everyone that this is me and I am authentic. You can be authentic too. You don’t have to be authentic like this,” Amaris said. This year, Amaris is turning 60 years old and she is planning to add another work of ink on her body. Her next project, a Joan of Arc-inspired tattoo as a reminder of her feminine power.